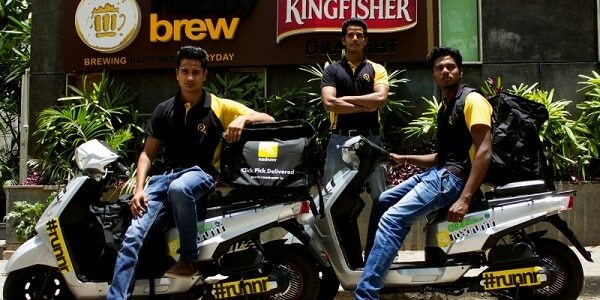 How an on-demand delivery solution Roadrunnr geared up to 11 cities in just 7 months? 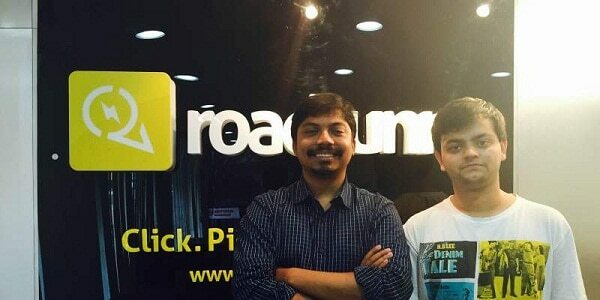 Roadrunnr is a Bangalore based company founded in February 2015 by two former Flipkart employees — Mohit Kumar and Arpit Dave. It makes use of an on-demand model to partner with delivery boys and manage lean and peak demand, and charges businesses a flat rate per delivery. It’s hard to believe that Roadrunnr was started only six months back. Their delivery team is growing on daily basis and the boys are eager to be a part of the team. So looking at the whole scenario, it is hard to believe that Roadrunnr is just a startup. Why we choose Roadrunnr as Startup of the Week? • Their pricing model differs from other aggregators as they charge merchants a flat fee based on their shipment size rather than the value of the order. • Unlike other hyper-local delivery companies, Roadrunnr is a B2B venture and has other e-commerce and offline retailers as their clients.The venture is not meant for consumers. • The company has expanded its footprint to 11 new cities just within seven months of its inception and stolen the limelight of the startup community. • Roadrunnr grew from 15 orders a day to 25,000 deliveries a day. • Roadrunnr works with over 4,000 merchants across India like Bikanerwala, Faasos, Copper Chimney, Noodle Bar, Ammi’s Biryani, and Jumbo King. • The company has also tie-ups with food ordering & delivery companies like Holachef and TinyOwl. • The company serves other categories like florists, laundries, pharmacies and also does a four hour delivery for leading e-commerce companies. • Roadrunnr is growing at a rate of 20% on weekly basis. • The company partners with 3200 different students, drivers and others who work with Roadrunnr on a part time basis as delivery boys. It all started in December 2014 at a mobile hackathon organized at Flipkart, where Arpit Dave and Mohit were colleagues. Mohit was working as senior product manager while Arpit was working as Business Analyst. The duo discussed the problem of why logistics was an expensive proposition. “Transportation was an affluentfactor before players like Ola and Uber. They removed the middlemen and directly connected the demand with supply. Logistics needed a similar model,” says Arpit. During the hackathon, both realized that the fulfillment and logistics market was scrappy. They then thought,a B2B company will be able to solve the problem. The duo also analyzed that most of the logistics players in the market were following the intercity logistics process for an intra-city model. This, according to them was outdated. “Why do you need middlemen and central hubs in intra-city logistics; you just need to pick it up from the merchant and drop it to the customer,” adds Mohit. Once they solved the problem statement, they realized that this could be made into a business.Thus Mohit handed his resignation letter in February and teamed up with Arpit who also resigned from his profile of Business Analyst in Flipkart. And after brain storming for a couple of months, in late February the duo started Roadrunnr. Roadrunnr has raised $11 million in the very first round from Sequoia Capital and Nexus Venture Partners and Blume Ventures. “I had Rs 25 lakh in my bank account when I was starting Roadrunnr. Although it was not much to build a business, especially in logistics, I thought of using all of it to set Roadrunnr up,” Mohit says. He only had Rs 120 left with him when the first funding round of $11 million came from Sequoia Capital, Blume Ventures, and Nexus Venture Partners. Fortunately, Mohit says, they were growing aggressively, with Roadrunnr touching 800 transactions per day by the end of their first month. The investors were quick to notice it. Earlier Roadrunnr had grasped seed funding of $10 million from Nexus Venture Partners and Blume Ventures. Roadrunnr today is growing with a pace of 20 % on a weekly basis. The duo, however, believes there is a long way to go. They intend to build the largest fleet of on-demand hyper-local deliveries in the country. By removing the middleman Roadrunnr has opened an opportunity to work as a delivery man or woman.In such a short span of time, the company has been able to achieve delivery accuracy of close to 100% and have reached about 25000 orders a day. The company on 28 Septemberannounced that it has expanded its services to 11 cities, and is currently making over 25,000 deliveries every day. Roadrunnr started its operations from Bengaluru six months ago, which has now expanded to other metros covering Mumbai, Pune, Delhi NCR, Gurgaon, Ghaziabad, Chandigarh, Hyderabad, Lucknow, Indore, and Kolkata. The firm plans to reach 100,000 deliveries per day by early next year, and has over 4,000 merchants across the country on its platform.